If you’re already thinking about the weekend (yes, that started Tuesday I know) you might want to check out some of the Art of the Danforth activities. 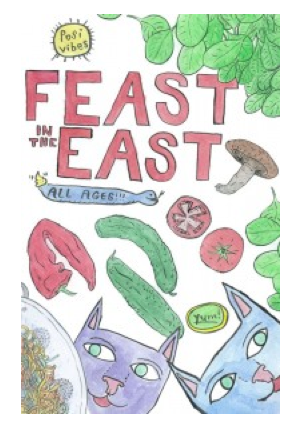 On Saturday night is an event called Feast in the East which will combine music, art and culinary art. There are three such events over the course of the festival. Last week the theme was British/Scottish. This Saturday, May 26 is Italian and (I am excited about this one) June 9 is Ethiopia. 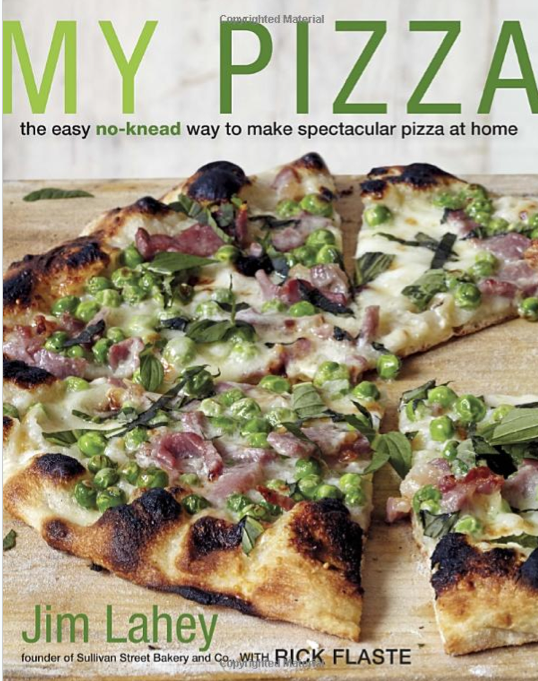 Meanwhile I am going to finally try the no-knead pizza dough recipe by Jim Lahey, owner of the Sullivan Street Bakery. It ferments overnight so I will let you know how it goes, but I find pizza is the perfect quick dinner for a Friday night. Especially if I can whip together the dough today. I have an easy, favourite recipe but this will apparently “exceed my wildest expectations”. We shall see. If you want to do this along with me (in fact, can you do this and I’ll come over and pick up half of the dough tomorrow) here is a link to the recipe from Bon Appetit. Also, if you make this and then tomorrow on the drive home you’re like, “screw it, I’m ordering Thai” the dough can sit for three days. A procrastinator’s dream. Otherwise we can compare notes bright and early Saturday morning. No, of course not, Saturday is for sleeping in until your spouse does not get up when your toddler is clearly making loud wake-up noises from his bedroom at 7am and someone needs to go get him…. Sounds fun! The Danforth is really shaping up- can’t wait to check out these events. what, really! That sounds amazing. Thanks! That no knead bread rocks……………its seriously good. never tried the pizza tho. Hi Sue – We tried this method of preparing pizza on Friday evening, after leaving the dough mix to prove from the previous day. We have been making our own pizza dough for a while now, but this was the first attempt at ‘no knead’. The first thing we noticed that the consistency of the dough was far less stiff, and more fluid, almost like a cake or soda bread dough, both at the initial mixing and after proving. As a result, we found the dough more difficult to work and shape, more a question of holding the edge and letting it drop into something flat, but of irregular shape. Now, I don’t know if this was intentional, because the recipe mentions shaping the dough into a ball, this was difficult. It could be that we overdid the liquid. I have an issue with ‘cup’ measurements, they seem to be such a moveable feast, and the weight and volume conversions vary even between measuring jugs. We usually use a mix of plain white flour and fine semolina for our own pizzas. Next time we make ‘no knead’ I will use the flour/semolina mix as the semolina tends to absorb more liquid. This said, the final product was probably the best home made pizza base we have made, both in taste and texture. But was it easier – no, because we usually knead our dough using the dough hook on a KitchenAid mixer. 6 minutes kneading, 1 hour proving, 15 mins or so shaping and filling the ingredients. The trade off is speed, but with an inferior, but still tasty, end product. I am going to try the flour/semolina mix, though. Hi–thanks for this report back. I did not end up making my pizza today–refrigerated it til tomorrow, but yes, very very soft. I was able to make a fairly decent ball from the dough though. I have pictures and will post them–maybe you can see if yours was similar. I must make the pizza tomorrow- will report back on my experience!